Was the Aral Sea one of 'nature's mistakes', or was it the scene of an environmental crime? The left photo shows, I think, the Aral Sea as it was last week. Wiki reports that ‘Soviet experts apparently considered the Aral to be “nature’s error”… [So] ‘From 1960 to 1998, the sea’s surface area shrank by approximately 60%, and its volume by 80%. In 1960, the Aral Sea had been the world’s fourth-largest lake, with an area of approximately 68,000 square kilometres (26,000 sq mi) and a volume of 1,100 cubic kilometres (260 cu mi); by 1998, it had dropped to 28,687 square kilometres (11,076 sq mi), and eighth-largest. The amount of water it had lost is the equivalent of completely draining Lake Erie and Lake Ontario. Over the same time period, its salinity increased from about 10 g/L to about 45 g/L’. Which view is correct? The lives of those who won their living from the Aral Sea have been devastated. But the population of Uzbekistan benefits from valuable exports of cotton. PS I wish Google Maps was available on aircraft, so that passengers know their exact position in relation to the ground. This entry was posted in Asian gardens and landscapes on 23rd July 2012 by Tom Turner. 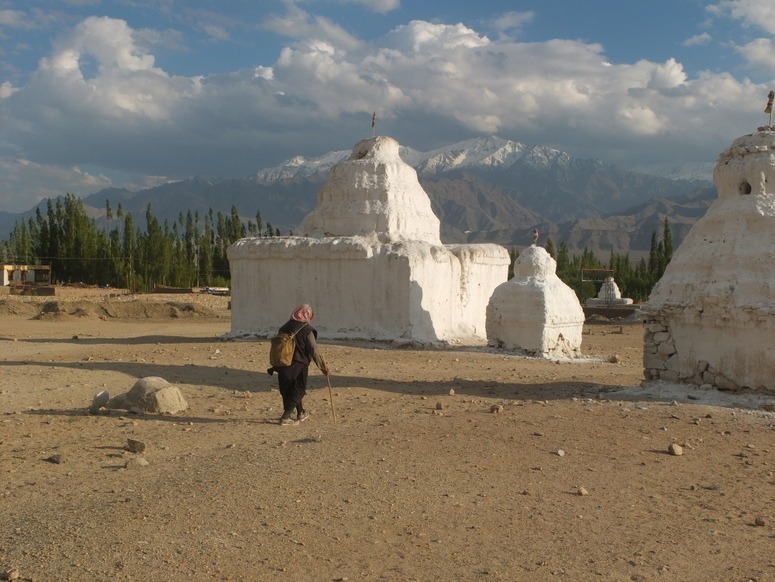 An interesting aspect of Ladakh is that it has no tradition of making ‘pleasure gardens’ but the whole country appears to have been conceived as a garden. This entry was posted in Asian gardens and landscapes, Buddhist gardens and environmental ethics, Garden Design on 15th July 2012 by Tom Turner. Should marijuana be grown in Uruguay's gardens and parks? The muscular men on the left appear confident of their own virtue. The young man on the right has the diffident sensitivity of a poet, wondering if drugs should be legalised. Uruguay, it has been announced, has decided to make marijuana a state enterprise. The government will grow marijuana and sell marijuana. Their aim is to put the criminal drug barons out of business and ensure those who smoke marijuana can get a clean uncontaminated product. I support the policy of putting the barons out of business – and wonder where the stuff should be grown. Should marijuana be grown in secure government barbed wire compounds? Or in private gardens? Or in public parks? Could it be a forbidden fruit symbol, fostering our hatred of sin? What involvement might the church have in this enterprise? The aspect of the Uruguay drugs policy I question is the government making money from it. This could lead officials to encourage consumption. Politicians do not always reek with virtue. Why not give the stuff away? – but plan the distrubition so that users have to walk past an exhibition showing the ill-effects of drug use. They could also revive the Order of Penitents and have lines of former drug users bewailing their fates and showing their scars. Images courtesy U.S. Embassy Montevideo and Marcelo Acosta. This entry was posted in Garden Design, Landscape Architecture on 13th July 2012 by Tom Turner. We contributed to the shaming of Dacorum Borough Council and thus to its decision to restore Geoffrey and Susan Jellicoe’s design for the Water Gardens in Hemel Hempstead. See blog post: Hemel Hempstead Water Gardens are a National Disgrace. HTA Landscape Design has been appointed by Dacorum Borough Council to restore the the gardens. I hope volunteers will be involved and look forward to reporting on the success of the scheme. This entry was posted in Garden Design, garden history on 8th July 2012 by Tom Turner. I take this opportunity to apologise on behalf of the British people. They did not build India’s first dams, but they accelerated the pace of dam-building and Ganges-spoilation. Rivers should regarded as sacred in the pre-Christian sense (‘set apart’) on account of their high importance. See this Wiki entry on the geology of the Himalayas to chill your spines: http://en.wikipedia.org/wiki/Himalayas#Geology. 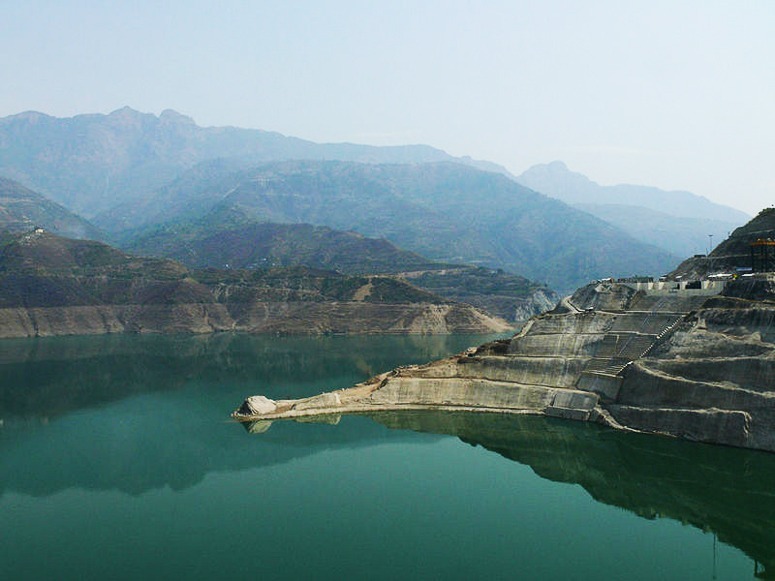 And see these photos of India’s water shortage to super-cool your spine. The dams, it appears, are being used to divert water from rivers and rural areas. It is used to generate electricity for the cities and to keep them supplied with water for lawns, swimming pools, car washing etc. Mahatma Gandi would not approve of this. But everyone wants to live in cities, so what can be done? Limiting the population is one thing but Indira Gandi had no luck with this policy. She was assassinated in her garden after commenting in a speech on the preceding day that ‘I am alive today I may not be there tomorrow I shall continue to serve till my last breath and when I die every drop of my blood will strengthen India and keep a united India alive’. Compulsory sterilization contributed to her unpopularity but Sikh separatism was the immediate motive for her assassination. This entry was posted in Garden Design on 2nd July 2012 by Tom Turner.